Steam Engine Old #7 ready for boarding! While visiting Jefferson Texas there are so many attractions to visit that are both fun and informative. During any visit to Jefferson one of the best local attractions is the Historic Jefferson Railway. The train is now running its spring schedule. The train departs from the depot on Saturdays at 2:30PM and 4:30PM and the Ghost Train at 9:30PM. Experience the steam hissing, whistle blowing and pistons chugging of the Old Engine #7 while it transports you on a 40-minute scenic trip along the Big Cypress Bayou. As you roll through the history laden Piney Woods, you’ll view a Confederate Powder Magazine and traverse the site of one of the oldest, historical towns in Texas. To round out your evening in Jefferson, climb aboard the legendary Ghost Train that carries you deep into the dark and spooky woods along the Bayou. As you ride along, the narrator shares tales that will make you snuggle up tight with the one you love. 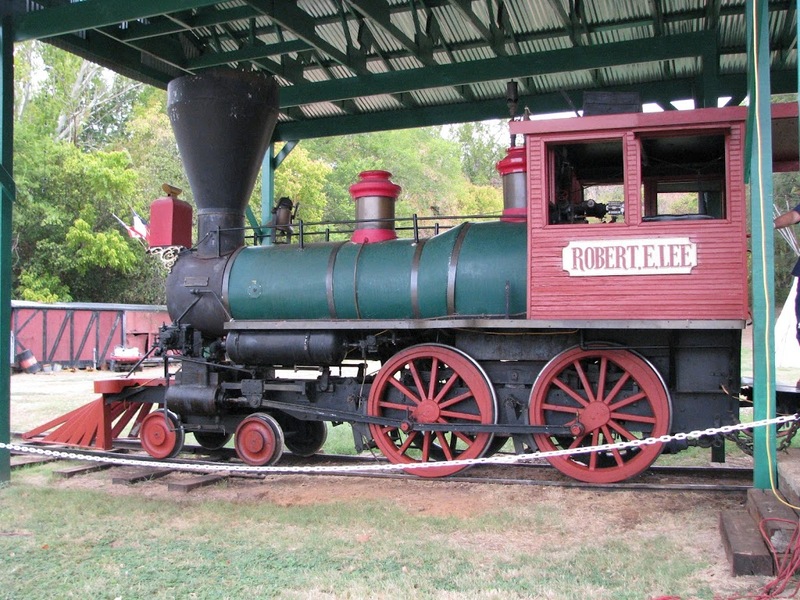 To learn more about the train and its many rides contact Historic Jefferson Railway! This entry was posted in Spring Events, Town Attractions by Tammy D. Bookmark the permalink.